Zhav Spiral Magic Girdle – lose up to 230 calories per hour. The Zhav Spiral Magic Girdle is a long-lasting wash-and-wear miracle slimming suit that kick-starts and helps maintain weight loss. The unique circular system is seamless and creates friction when exercising or just going about normal activity; massaging and toning with every movement, every minute. 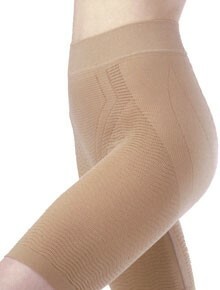 The Spiral Magic Girdle is also a support garment that can be worn under normal clothes to provide support for the chest, abdomen and buttocks, without any squeezing or constriction. It is recommended that you use the Girdle in conjunction with the Zhav Dynamic Body Tone, the Zhav Natural Sea Clay Body Wrap, the Zhav Trim and Tone Body Organic Cream and healthy eating to give you the Winning Slimming combination.